John Boney describes himself as a man of few words, but he’s a person of many labels—leader, competitor, collector, and connoisseur. Boney’s colleagues describe him as a quiet leader who thrives on efficiency and optimal performance. A competitor, Boney participates in video game tournaments, reveling in fast-paced action that engages his reflexes and rewards knowledge of the game, opponents, and technical skills. A collector, Boney accrues figurines and memorabilia of the animated works Adventure Time and Moana. And lastly, Boney’s a local connoisseur—taking part in Charlotte’s popular craft brewery and cider scene. Professionally, Boney is a puzzle-solver. As a Data Integrity Consultant at a multinational financial services company, he ensures data quality, so company data can effectively support business practices. What exactly does that look like? Boney designs and develops automated processes that detect data defects. “I like the technical nature of my job,” says Boney. “Implementing the automated rules has an element of puzzle-solving that I enjoy.” Focusing on Social Security numbers or Tax ID numbers is just one example of his current data quality work. His program can detect suspicious or nonsense values, using specific data-quality rules. If a data defect is detected, Boney flags the data and reports the infraction to the appropriate internal line of business. This process can help prevent fraud. 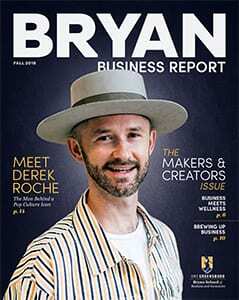 The Bryan School’s Accelerated Degree Program led Boney to earn his Master’s in Applied Economics. Since the program enabled him to receive dual undergraduate and graduate credit for selected courses, he earned his master’s in only one additional calendar year. He says, “This program made the difference in my decision to pursue a graduate degree.” During the program, Boney appreciated the support of the graduate coordinator and faculty. What does the future hold for John Boney? In his current position, he will continue to be not only a puzzle solver, but also a problem solver, especially as he moves into a leadership role as liaison between multiple teams. 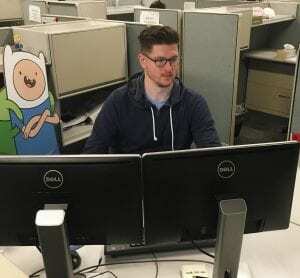 He likes his company and continues to be challenged by his day-to-day data quality work. Considering a career in economics? Learn about the Bryan School’s MA in Applied Economics program, or contact Graduate Recruiter Mary Lesa Pegg at 336.256.1432 or bryangrad@uncg.edu.